Former English Premier League outfit Arsenal coach, Arsene Wenger has arrived in the capital of Liberia, Monrovia ahead of August 24th National Award Ceremony. Mr Wenger is expected to receive the highest national award for his role in the development of the football career of President George Weah. Mr. Wenger was welcome by few supporters of Arsenal and some government dignitaries. French coach, Claude Le Roy, who recommended Weah to Wenger during the player’s formative years, is also to be awarded the country’s highest honor. The two coaches will be inducted into the country’s Order of Distinction and be given the title of Knight Grand Commander of the Humane Order of African Redemption. 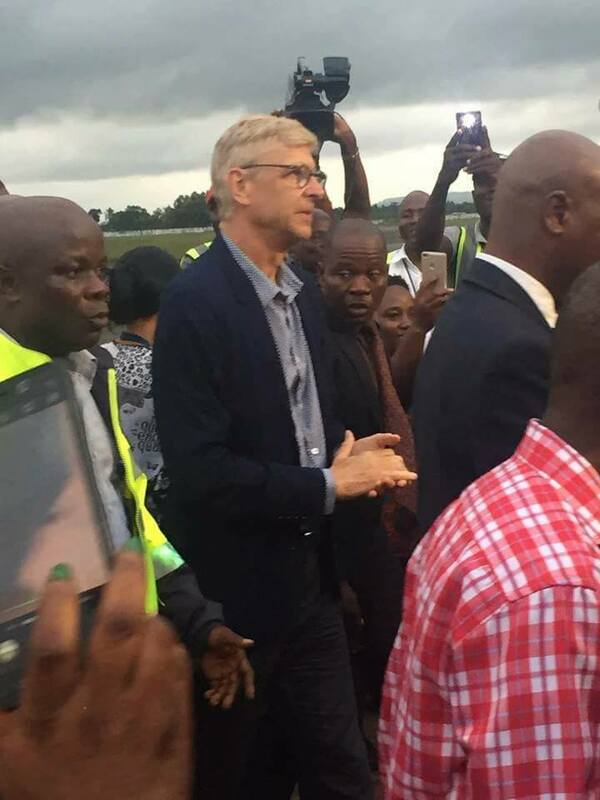 Photos from the Arrival of Mr. Wenger at the Robert International Airport in Monrovia.